China’s November barley imports dropped further, while sorghum intake remained a trickle, customs data showed on Sunday, amid Beijing’s rocky trade relations with major grains exporters. Imports of barley, used both in brewing and livestock feed, fell to 110,000 tonnes, down 83.5 percent from a year earlier, according to data from the General Administration of Customs. The fall came as Beijing launched an anti-dumping probe last month into shipments of the grain from top supplier Australia. Australia exported 6.48 million tonnes to China in 2017, worth about $1.5 billion and close to three-quarters of the 8.86 million tonnes of barley that Chinese importers took last year, according to customs data. In another measure likely to curb shipments of the grain into next year, Beijing launched an anti-subsidy probe into barley imports from Australia on Friday, ramping up pressure on suppliers. China’s imports of sorghum, another main ingredient for animal feed, dropped 97.6 percent in November from a year earlier to 10,000 tonnes, customs data showed. Beijing slapped a 25 percent duty on imports of the grain from the United States on July 6, in retaliation over similar trade measures taken by Washington. The United States is by far China’s top sorghum supplier, accounting for 94 percent of its imports in 2017. Meanwhile, China’s pork imports rose in November from the previous month, customs data showed, as Beijing battled against fast-spreading African swine fever. China imported 91,443 tonnes of pork in November, up 10.2 percent from the previous month. In October, China’s pork imports totaled 82,949 tonnes. China, the world’s top pork producer, has reported more than 90 cases of the deadly swine fever since early August, raising domestic appetite for imports of the meat. China’s corn imports in November came to 120,000 tonnes, up 438.7 percent from the same month of 2017, the data also showed. 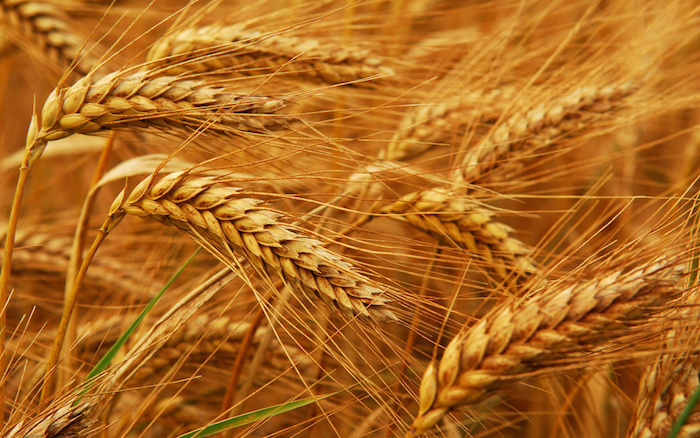 China brought in 140,000 tonnes of wheat in November, down 22.5 percent year-on-year. Soymeal imports came in at 4,040 tonnes, up 4.7 percent from the same month last year. Sugar imports rose 116.3 percent from a year earlier to 340,000 tonnes in November.